Frozen Coco's latest single, "Ellipsis", was released on 25/01/2013 and can now be streamed here. 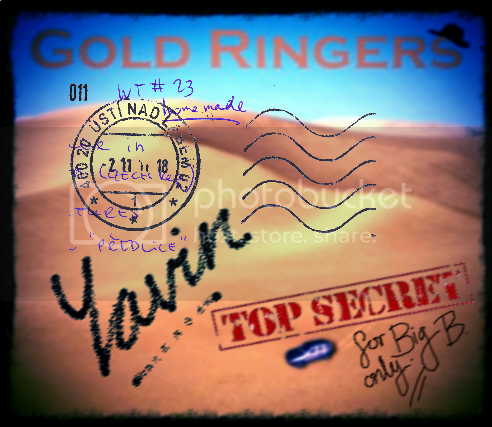 Give a listen to Diyath Yavin's second solo single, ‘Gold Ringers’! Check out the wiki page for Frozen Coco created by DIY. This is the official thread of the popular online rock band, Frozen Coco. This is where all the band members' discussions go, though we shall be moving out soon, as we progress onto better sites for popularising our music and organising our discussions. It would be appreciated in order to avoid outside conflict, if non-band members refrain from posting here unless highly necessary. The aim is to keep this thread clean, with only band discussions. I was gonna tell you we don't need violin on all songs, but I see you already covered that. I'd like to volunteer to do some graphic design that would probably involve things more like photography and collage, if that interests you guys. It can be nice to have a variety of artwork styles. Well, we could use a good graphic designer. DIY has too much work already to take the spot (imo) and I've never liked his album cover much tbh. I like the idea of using a photo or a collage style cover. We might also need various kinds of banners. fg123 is good in that department, and has a instantly recognizable style - I've been considering him for a while. I propose we use my Crimson Love cover and then move on to another Graphic Designer. Should I now release those Crimson Love banners you told me not to release earlier? We are drawing nearer to completion. About the two forums thing, it's not against the rules. Like you told me to, I opened this new forum. I've seen your sig shop. It's pretty cool. I use GIMP though which is a more advanced editor with greater tools. We'll consider it. I use GIMP as well, for the record, so I'm up for graphics as well. I can also model in Sketchup, if that is needed. Over Blender of course. Band members only should post here. Any entries for posts should not be posted here by outsiders, so as to keep this thread 'clean'. Please post in the audition forums if you want to here. And if you want to control who's posting here, why aren't you using an external forum? We already discussed the inconveniences of using an external forum. Please, this is exactly what I don't want. If you have any queries, please post in the forum I linked before. I don't think it's even nearly time to use banners for a new album, especially considering we need to rerecord the vocals for the first 2 songs, and mix the whole thing again. What's wrong with hiring a separate graphic designer? We don't have a specialized one right now and all 3 people who offered for the spot are quite skilled on that. All right, but I meant that we keep the cover I made for Crimson Love and then from the next album onwards, we leave the spot open to others. I'll improve this in the time being if you need any changes. How about we keep the Graphic Designer post open and take it album by album to determine who the best artist it is? That way we can pick out the best one out of the lot. Sorry, just heard your song idea and it sounds amazing! Has a melancholy feel to it like you say! I am working on quite a few other songs apart from Reload too that should be completed by around summer. I have over ten in mind, so I'll try to post the ones I can in Noteflight whenever possible. Techno, I decided to upload a bit of one of the songs I mentioned I was working on earlier. Here it is. It still needs a lot of work, but I shall be continuing work on that soon. Hope you like it! Sounds good, but some notes on the guitar are way out of the instrument's range (lowest note on the score is like the 3rd lowest note on a bass) and it'd be awkward to play with only C/G-shaped chords as implied by the score. But I suppose we'll take care of that later. Everyone okay with that? Most likely in that very order, it sounds best in my head like that. I'll try to learn and record the bass for Reload now. @jslomba, what sounds good? The song list, my song ideas, or DIY's? Sounds interesting. Personally though, the melody doesn't seem to harmonize so well with the guitar? What do you think? That way we end with a moving song, and the best two are kept for last. What do you think? Also, are we having the cover and bonus track. Why don't we just put the redone MVTY and WIBY? What do you mean by that? Did you not have time, or do you need to practice it? Remember, in any case, I can cover for you as I am an amazing bass player too!